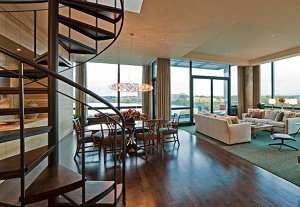 The Edgewater loft condos are some of the most luxurious buildings in the Uptown neighborhood. This condo development is six stories and has roughly 26 units in the entire building. The condos on the west side of the building have some pretty amazing views of Lake Calhoun. Buyers looking for condos and lofts in Minneapolis also might consider 301 Kenwood, the Phoenix on the River and the Zenith condominiums. Uptown is limited in new condo construction so if you are looking to purchase a home around Lake Calhoun and have it be a higher and new condo loft this is definitely the best option. Being a higher end boutique locked development, the prices are going to be on the more expensive side of the Minneapolis condo inventory. Listings in the Edgewater condos will also be on the market less frequently, so if you have an interest in this building be sure to fill out the form through the link below for possible available pocket listings. 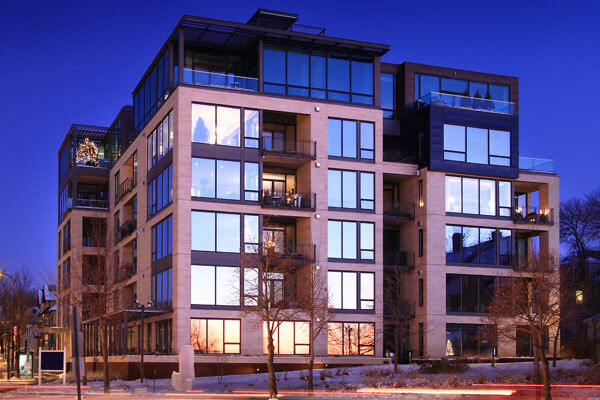 Scroll down to see all Edgewater Condos for sale in Uptown, Minneapolis or learn more about the building features and neighborhood amenities. Looking to live at The Edgewater in Uptown but not finding what you are looking for? Inquire about our 'off MLS' Minneapolis Condo and Loft pocket listings. The high-end residences at The Edgewater are praised for their ultra-modern styling. The glass, copper and stone exterior features clean lines, and environmental design. Many of the units sold at the Edgewater condos were sold as unfinished shells, allowing homebuyers to fully customize their interiors. For those seeking a turn key home, the lower floors of the building are fully finished and are move in ready. Another great feature of the contemporary building is its green roof, which provides energy efficient insulation against the heat in the summer and the bitter cold in the winter. 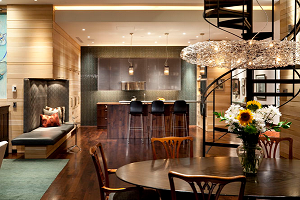 The Edgewater Condos are located in Uptown, Minneapolis' premier entertainment district. Residents have access to all the restaurants, retail stores, coffee shops, and movie theaters in this busy commercial district. 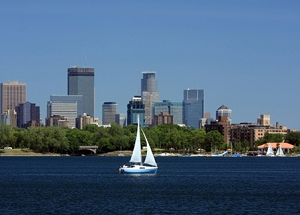 Endless recreational opportunities can also be found at Lake Calhoun. Some of the popular activities include fishing, wind surfing, swimming, sailing and canoeing.is also great for runners and cyclists with miles of trails and cycling paths. Parks: Lake of the Isles Park, Kenwood Park, Minneapolis Sculpture Garden, Bryant Square Park, Mueller Park, Painter Park, Whittier Park. Restaurants: Tin Fish Restaurant, Barbette, Amore Victoria Ristorante, Lake & Irving Restaurant & Bar, Chino Latino, Lucia's, Chiang Mai Thai Restaurant, Stella's Fish Cafe & Prestige Oyster Bar, Famous Dave's BBQ & Blues. Shopping: Calhoun Square, Lunds Marketplace, Apple Store Uptown, Frattalone's Ace Hardware, Walgreens, Barnes & Noble, Kowalski's Markets, Kmart, Wedge Community Co-Op. Schools: Jefferson Elementary School (Public, PK-8), Kenwood Elementary School (Public, K-5), Lyndale Elementary School (Public, PK-5), Whittier International School (Public, PK-5), Lake Country School (Private, PK-8). Do you own a condo in The Edgewater and happen to be thinking about selling? Let me assess your condos value and get you a price quote. Fill out my condo sellers form and our team of Minneapolis condo experts at Downtown Resource Group will get back to you with more information on the recent sales activity in your building as well as provide you a marketing plan and general market assessment.